TEHRAN, Aug. 29 (MNA) – The Guardian Council Secy. Gen. has emphasized that Iran’s Leader, government and people all fully support the Islamic Resistance. 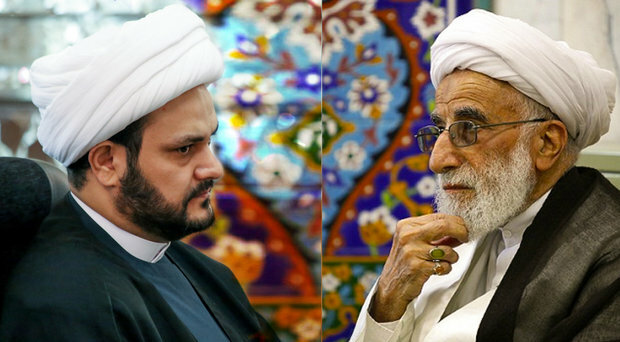 On Sunday August 28, Ayatollah Ahmad Jannati, the Secretary-General of Iran’s Assembly of Experts, made the remarks during a meeting with Sheikh Akram al-Kaabi, leader of Hezbollah Harakat al-Nujaba, a major Iraqi Shia resistance movement fighting the ISIL. At the end of the meeting, Ayatollah Jannati underlined “we are all soldiers of the Resistance and your brothers as we will spare no effort in your path which is the way of Imam Ali (AS) and Imam Hussain (AS).